transfusion and the use of high dependency/intensive care unit was lesser than that of a comparable contemporary group of patients undergoing open radical cystectomy. 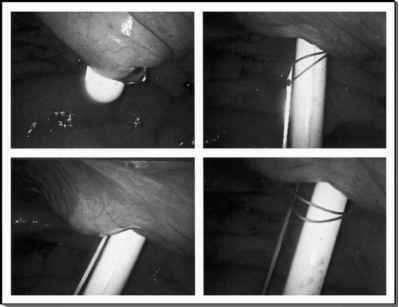 Postoperative ileus was shorter and patients were able to start enteral feeding much earlier. Mean hospital stay was short and full recovery very rapid. Early data also indicate that laparoscopic radical cystectomy is oncologically equivalent to open radical cystectomy. Surgical margins are usually negative and at follow-up of up to two years 3% of patients develop metastatic disease (3). Laparoscopic radical cystectomy would be an ideal procedure to study the immunological effects of urological laparoscopy as the difference in technique and recovery, compared to open radical cystectomy, are quite marked. It is a sobering thought that surgical problems related to acquired immuno deficiency syndrome are becoming more common as the incidence of human immuno virus seropositivity increases. Patients with acquired immuno deficiency syndrome are living longer due to improved medical therapy. Laparoscopy is being applied more frequently for diagnostic and therapeutic purposes and these immunocompromised patients may benefit from decreased perioperative immune depression (4).